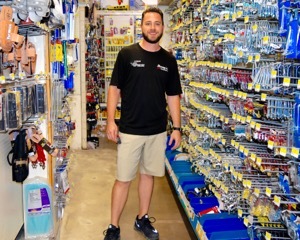 Barry’s Ace Hardware takes its name from owner, Barry McKay, and is a member of the largest retailer-owned hardware cooperative in the industry, Ace Hardware. Mr. McKay has owned the store – located just west of 19th Avenue on Glendale Avenue – since 2004. 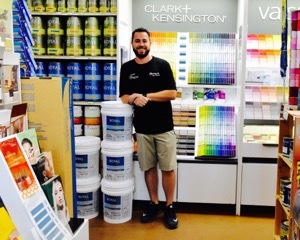 I recently visited the store and had the privilege of speaking with the store manager, Logan McKay, Barry McKay’s nephew. We discussed their business and the store’s commitment to 19 NORTH’s improvement efforts. Strong believers in education, the McKays routinely donate their services to Orangewood Elementary School and help with various projects at the school. They have also participated in Washington High School’s program which helps find employment for students with disabilities. With the goal of empowering customers to do projects themselves, Barry’s employees offer help, advice, and support as needed. They keeps a large variety of items in stock but can also order custom parts, tools, and paint as requested. The store occupies the space of a former lumberyard so they have chosen to remain true to the store’s heritage by keeping lumber, bricks and concrete on site. Barry’s has a strong referral network of trustworthy painters, masons, and tradesman, etc. and they stand by their referrals. The store also offers a variety of other services including rebuilding locks, windows, doors, and screens. Throughout the interview, Logan reiterated the store’s commitment to 19 NORTH’s collaborative efforts. He and his uncle attend local meetings and events, help with schools, and get involved with the community activities whenever possible. Safety is one of their priorities and they are diligent about keeping transients off their property to avoid accidents, mishaps, or injury. They take pride in their business and strive to keep the property clean and appealing. Barry’s Ace Hardware goes far beyond selling and stocking hardware. They offer everything from tools and sports apparel to silly string, wagons, and even art nouveau hammers and screw drivers. They strive to be helpful to both their customers and the community. If you haven’t been, drop by and visit! Barry’s Ace Hardware is open 7 days a week (call or check their website for hours) for all your home improvement needs.